Stylish, convincing, wise, funny, and just in time: the ultimate non-diet book, which could radically change the way you think and live. French women don’t get fat, but they do eat bread and pastry, drink wine, and regularly enjoy three-course meals. In her delightful tale, Mireille Guiliano unlocks the simple secrets of this “French paradox” -– how to enjoy food and stay slim and healthy. Hers is a charming, sensible, and powerfully life-affirming view of health and eating for our times. As a typically slender French girl, Mireille went to America as an exchange student and came back fat. That shock sent her into an adolescent tailspin, until her kindly family physician, “Dr. Miracle,” came to the rescue. Reintroducing her to classic principles of French gastronomy plus time-honored secrets of the local women, he helped her restore her shape and gave her a whole new understanding of food, drink, and life. The key? Not guilt or deprivation but learning to get the most from the things you most enjoy. Following her own version of this traditional wisdom, she has ever since relished a life of indulgence without bulge, satisfying yen without yo-yo on three meals a day. 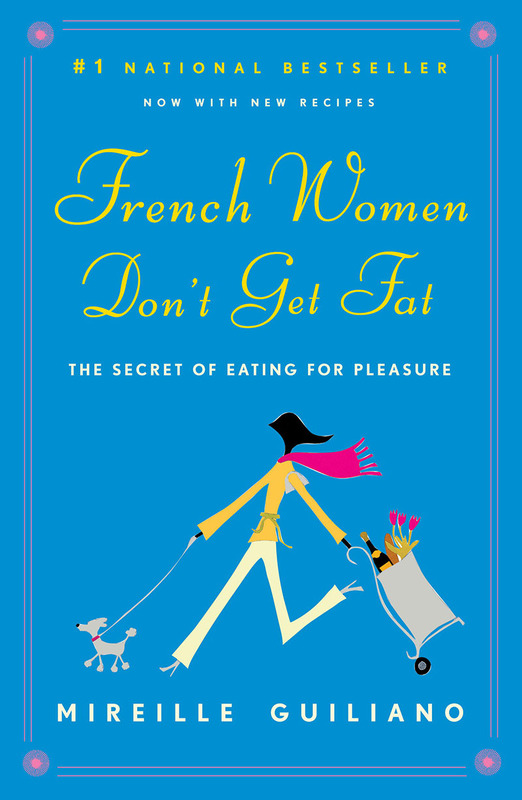 First published in 2004, French Women Don’t Get Fat ® has been a runaway success. The book has been translated into 40 languages, reached number one on the New York Times best-seller list and went on to sell over 3 million copies worldwide (and counting). Use the links below to visit the retailer of your choice. Life is movement. Walk daily, climb stairs, ride your bike. Get up and go!